A week or so ago, I lost the battle with my jelly legs and ringing ears. 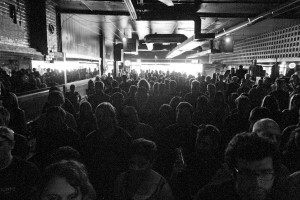 Inside the most packed, sweaty Neurolux I’ve seen in my limited 21+ lifespan, even the sweet sound of the Cave Singers couldn’t keep me from fleeing to topple into bed by eleven o’clock on the closing night of Boise‘s inaugural Treefort Music Fest. Sitting on a sparsely populated, sunny Sunday Neurolux patio now, I reflect. Wristbands have been shed, the unmarked van to car ratio has evened out, and the wait for oatmeal at Big City Coffee this Saturday was fifteen minutes instead of fifty. As much as I enjoy my own private Idaho most of the time, I’m not exactly glad to see Treefort go. The bustle that populated my usual stomping grounds seemed to belong in a way I wasn’t expecting. There is a reason we Boiseans choose to live here, and for a few days, several hundred extra people had the opportunity to figure it out. There is often talk, late at night, in the darkness of (until recently) smoke-filled basement bars, of Boise and its potential, of its emerging as a center for creative folk. This isn’t a new idea, but recently it feels like one that’s becoming much more concrete. When I first got wind of Treefort in October of last year, I thought, “Please, oh please, oh please, be awesome.” There was plenty of fear that it would turn out similarly to previous attempts, portraying Boise, yet again, as a self-limiting toddler city. Contrarily, and I have done my best not to approach this as a Boise-loving, hometown-pride-touting maniac, Treefort easily surpassed my hopes and not only helped cement Boise into the minds of newcomers, but did so with prowess unexpected. 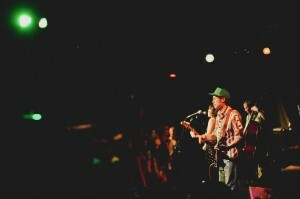 Treefort, from the perspective of musicians and attendees alike, was a classy festival. Artists were treated like your grandma’s house guests with free bike rentals and hotel rooms. It felt as though all of Boise, including the weather, went out of its way to ensure a resounding nod of approval. So, we want you to like us. Maybe we try too hard. We’re like that here – nice, genuine, hospitable – and we’re not apologizing for it. Oh, and the music. Yeah, that was okay too. The conflicted daze of choosing whether to see Built to Spill or Lemolo, Delicate Steve or Pickwick, and AU, Red Hands Black Feet or Solomon’s Hollow? Now, that’s the mark of a good festival. Highlights? This is a music blog after all . . . 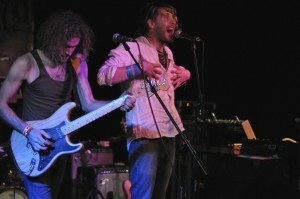 The “emerging artist” bent of Treefort fits Boise’s present tense well. And while many of the artists mentioned here are hardly “emerging,” I am eager to watch them, this festival, and Boise itself find energy and growth in each other.